The Young Musicians' Foundation Orchestra was founded several years ago by conductor Darrell Ang to give young musicians who have aspirations of turning professional a chance to perform in an orchestra of a high standard. 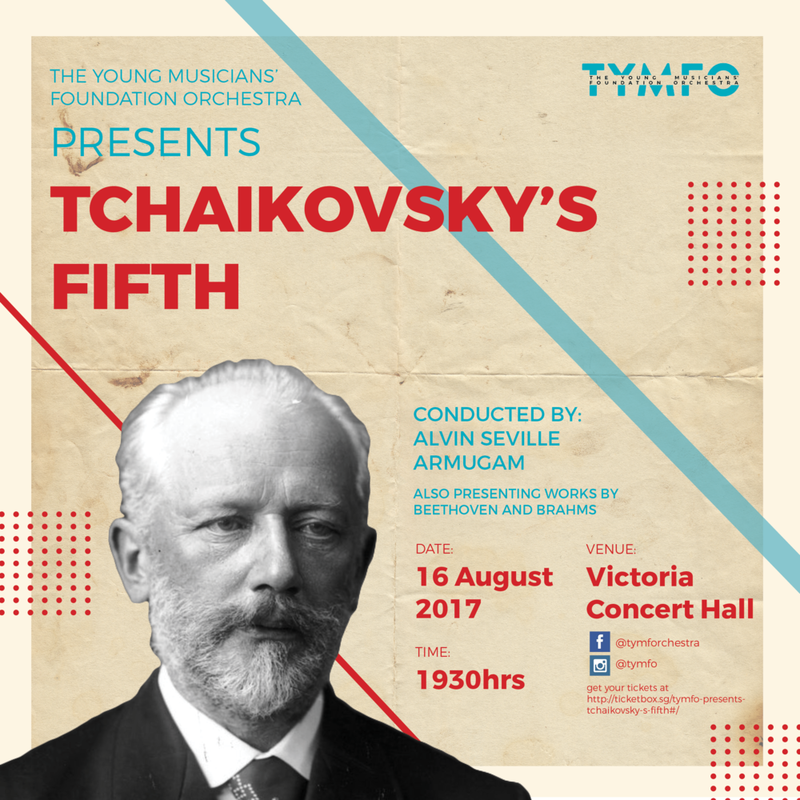 Similarly, it also provides a platform for young, up-and-coming conductors in their study and preparation of repertoire works. Singapore is already producing conductors who go on to win international conducting competitions, thus adding to the universal pool of maestros to sustain classical music's future. Thus, an orchestra such as TYMFO has much to contribute to the local and international music scene. Its latest concert was an ambitious one, conducted by Music Director Alvin Seville Arumugam who is pursuing his Masters of Music at the Yong Siew Toh Conservatory. Opening with Beethoven'sEgmont Overture, he wrung out as much pathos as possible in its slow introduction. The opening notes and series of chords that followed were trenchant and well-defined. The heroism of its subject, the martyred Dutch patriot who defied Spanish oppressors, was captured with much vividness as the orchestra built up the drama ever so assuredly to its triumphant end. Next was another orchestral staple, BrahmsVariations on a Theme by Haydn. It isn't so regularly heard in concerts these days, but it still makes for a meaty offering. The opening St Anthony Chorale theme, wrongly attributed to Haydn (who merely wrote a harmonisation), was delivered clearly and with sprightly steps. That and the opening variations showcased very good woodwind and brass playing, which was consistent through the entire concert. For some reason, the variations following Variation No.5 (the one with the “hunting horn” quartet) were omitted in this performance, and that fact did not seem to be shared by all aboard. This resulted in an abrupt break and several awkward page turns from the conductor before continuing to the finale (the passacaglia), where semblance of order was returned for a strong finish. I think someone got the beards mixed up. Speaking of mix-ups, did one check the programme booklet which had Brahms' and Tchaikovsky's photographs mixed up? There were no programme notes either, but the deficit was made up by conductor Alvin's helpful comments to new concert-goers. He spoke about the main motto theme in Tchaikovsky's Fifth Symphony in E minor and its transformation from tragedy to triumph through the work's four movements. He also touched on Tchaikovsky's depression, troubled personal life, and unexpected death (suicide or cholera? ), while managing to stay politically correct (no LGBT issues even hinted at). The orchestra also played passages to illustrate the short talk, but all this took place before the interval. One wonders whether concert-goers these days have sufficiently retentive memories for such facts, as the symphony was played after the intermission, some 20 minutes later. Nonetheless, the audience was treated to a very convincing reading of another popular work. The opening clarinet solo from principal Teow Yue Se was excellent, supported by low strings. This was a very promising beginning that got better as the movement progressed. The build up to its climax was thrilling and the orchestra brought out a very full-bodied sound before retiring to a quiet end. The slow movement's glorious French horn solo was accorded to Alan Kartik (who is a member of the Singapore Symphony Orchestra, no less) and he embraced it with open arms and a gorgeous tone. Again, the defiance and vehemence displayed as the opening motto theme returned was very well handled, and the movement's blaze of triumph was spine-tingling to say the least. The third movement's waltz provided some measure of respite, and the orchestra responded with requisite lilt before yet another reprise of the motto theme, now sounding surreptitious and subdued. Conductor Alvin did not break between the 3rd and 4th movements, and so the motto theme was heard immediately, now in the affirmative key of E major. The transformation was now complete, and the hell-for-leather ride was underway too, providing for one of Tchaikovsky's most exciting finales. The pacing was excellent too, never hectic or overstated, as the orchestra built from strength to strength. Singapore orchestras are regularly praised for the strength of strings, and based on this performance, woodwinds and brass should not be ignored as these sections truly made the symphony their own as it raced to a breathless close. The applause was equally vociferous, with cheers aplenty, all of that richly deserved. One eagerly awaits the TYMFO's next concert.